Oh, I just LOVE this look! It's gorgeous, modern, and flexible. 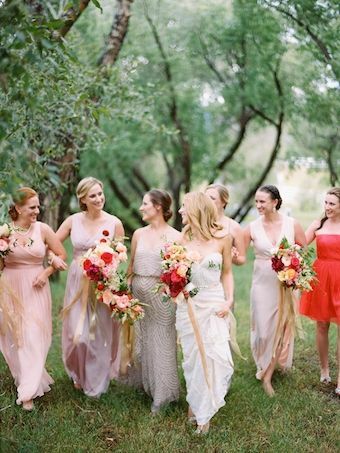 It allows your bridesmaids to show off their personality while still maintaining the look you want with your wedding. 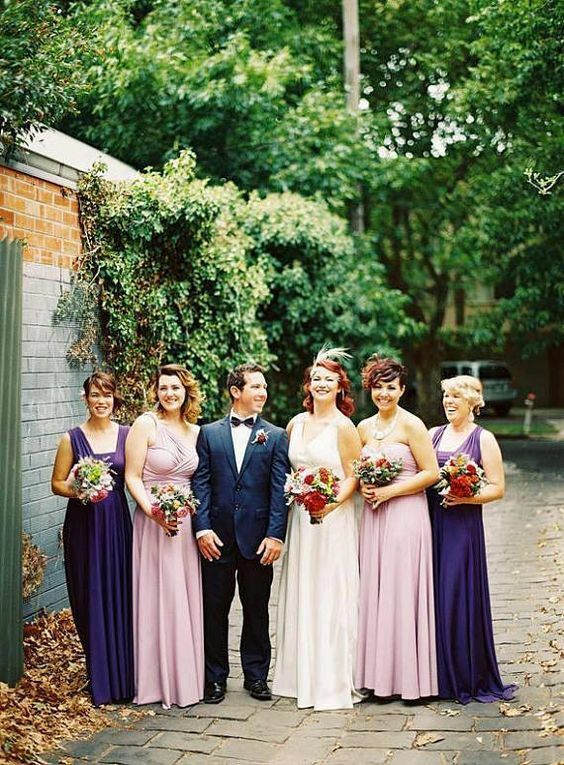 Your bridesmaids are far more likely to actually wear the dress again and it creates for some stunning photos. What I'm finding works is if you keep at least one thing consistent throughout the whole look - whether that's the same jewel tone family, length, or style. This allows for the photos to be cohesive but still adds interest and personality. Ok, stop reading this and take a look. You'll love them!